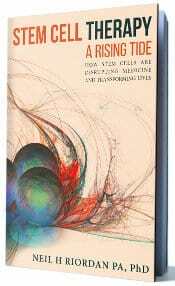 Delve deeper into the stem cell world with pioneer and expert Dr. Neil Riordan. 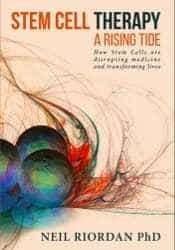 Co-founder/chief science officer of the Riordan-McKenna Institute, founder/chairman/chief science officer of the Stem Cell Institute and author of Stem Cell Therapy: A Rising Tide, he’s here to discuss ongoing stem cell studies with Duchenne Muscular Dystrophy, spinal cord injuries, MS, autism and more. He’ll also answer one of the most common stem cell questions: how can one cell treat so many different conditions? The last 12 months have been a giant series of ups and downs, an extreme roller coaster for Martha Phillips. Last December, her father-in-law battled brain cancer, which affected the lives of all of her close family; and her only brother died very suddenly from a pulmonary embolism. They were buried a week apart. Martha had been fighting her own battle against Multiple Sclerosis since a diagnosis in 2010. This disease causes the body’s immune system to attack its own tissues, and the malfunction destroys myelin, the fatty substance that coats and protects nerve fibers in the brain and spinal cord, according to the Mayo Clinic. Phillips’ had seen her own ups and downs in that battle as well, with medications that caused huge weight gain, severe intolerance to heat, and intense bouts with pain. She tried many different protocols and medications, but what seemed to make the most difference was an extreme dietary change, which led to a loss of 72 pounds, acupuncture, adjustments, and regular massage therapy. Under the care of Dr. William “Doc” Davis in Ennis, she went from 10 prescriptions down to two, and did quite well for nearly six years. But after the bout with all the stress during December 2016, Phillips discovered her body just could not cope with all the continuous stress demands placed upon it, and she suffered a pretty severe setback. She was forced to go on disability from her job. The neurologist offered several other choices of medications, but all were either equally as risky with not as many good results, or more risky with even worse results. “To me, it felt like my only choice was going backwards, and to me that was unacceptable,” she said. Phillips learned about a somewhat-new innovative treatment for people with Multiple Sclerosis, and it was not being done in the United States yet, but for $25,000 one could fly to Panama City, Panama and have the complete treatment done and stay right in the same hotel where the treatments are done. The blessings of how all her funding came together to have the treatment were chronicled in a story that ran in the July 8, 2017 edition of the Daily Sun. But this story is about the trip itself, the treatment, and how her life has been since the trip to Panama. It’s been roughly three months since Phillips returned from Panama. She took her little sister Robine Reeves with her, and the things she noticed right off were 1) the Atlanta airport is awful, and 2) Panama is a lot like Texas with regard to the weather. Phillips notice that the Panamanian president’s motorcade also came through that morning, and they watched it all from the rooftop of their hotel where the pool was. And some guy from London had to tell them their own Vice President was there. “The clinic has a very impressive concierge,” she said. “Someone was there holding a sign with my name on it at the airport. She took us to the VIP lounge and whisked us through customs and the fingerprint deal very quickly and painlessly, and called our driver who works for the clinic. He took us to the hotel, and showed us shopping and restaurants along the way. “They don’t have really good restaurants, they just look for consistency,” she said. Phillips also had physical therapy that day which consisted of evaluation, stretching exercises, balance and strength. The way the stem cells work for MS and some other autoimmune diseases they’re using them for is that they reset the immune system, she said. They do not go in and repair the damage the MS has already done to her brain, but there is scientific evidence that shows if MS stops attacking the body, the body can heal the brain and spinal lesions. “They believe that because there’s another virus that does the same kind of damage to your brain, but because it does not continue to attack the brain, people recover from it,” Phillips said. There was another day of treatment just like the previous day, then the following day the sisters flew home. On the day of the blood work and checkup, the doctor discussed diet and supplements with Martha. Phillips had already followed this diet in the past, but wasn’t following it very strictly at the time. Her supplement list looked something like this: 2000 mg per day of Magnesium; B vitamins; CoQ10; Stemkline; Probiotics; and a lot of it is supposed to be for energy as well as for brain health. “When I went to Panama, I was taking 10 prescriptions,” she said. “I am taking one now, 90 days later. “That all actually happened within the first two weeks. 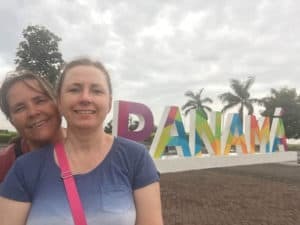 Philips said when she made her trip to Panama, her thought was if she could get rid of enough of the pain and fatigue in order to return to work, she would be happy. She’s also no longer a slave to heat intolerance. Before, when she went to CrossFit, she had to wear a cooling vest full of ice packs and stand in front of a giant fan or A/C unit in order to work out. The least little bit of heat would cause her to become very, very sick. “The first time I worked out after my transplant, Nick (Biles) came over to check on me, and I cried and said ‘I can’t remember the last time I worked out without heat intolerance,’” she said. The heat intolerance makes the MS Symptoms you have temporarily worse until your body cools down. That can happen with one degree of change in body temperature, she said. For more information about stem cell therapy for autism please CLICK HERE. Dimitri’s parents discuss his progress after his first round of stem cell treatments for autism in Panama. Interviewer (I): Today is August 4th, 2017. Please give your name. Mrs. Weaver (MOM): He was diagnosed with autism at the age of three. (I): Ok, so this is his second stem cell treatment? (MOM): Second stem cell treatment, yes, about a year apart. (I): Can you describe his improvements? Mr. Weaver (DAD): I think that, yeah, he’s had a lot of remarkable changes in the past year. He’s done really well with kindergarten as you’ve said. 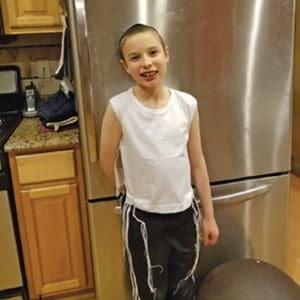 (MOM): Overall, the teachers that saw him last year for evaluation for his IEP – and then we had an IEP meeting this May, not even a year apart. They said he looks like a different child. So they weren’t expecting the growth that he’s made this year in school. (I): Anything else you would like to mention? (MOM): We haven’s seen any regressions or any negative, no side effects. All we’ve seen is growth. That’s why we’re here again this year. It’s been all positive for us. (DAD): It’s been a great experience. Dr. Riordan gave a talk about stem cell tourism. Here he is joined by “the father of the mesenchymal stem cell”, Arnold Caplan, Phd and Dr. Priscilla Ortiz. I was diagnosed 20 years ago. My heart was stopped up. I have 11 stents in my heart. When they put in (stents) nine, ten and eleven they blocked an artery and caused me to have a heart attack. Then 4 years later, I went to the doctor and he did an EKG and he said he needed to do a nuclear scan. That was in May 2011. In July of 2011 he did a nuclear scan and then called me and told me there was nothing else he could do for me. 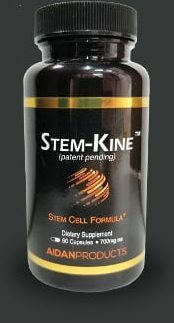 A friend of mine in Corpus Christi told me about stem cells in Panama. So I checked into it and I came down in October of 2011 and had a treatment. I didn’t feel anything for 30 days. Then I started feeling better and really felt good. I went to the doctor in January of 2012. He did an EKG and walked in and said, “What have you done?” I said, “What are you talking about?” He said, “You have a normal EKG. You’ve never had one of these before.“ So I asked my wife, “Do you think I ought to tell him?” This was in St. Dominic’s Hospital in Jackson Mississippi; the one that had caused me to have the heart attack. So I asked her, “Reckon I ought to tell him I had got stem cells?” She said, “Yes.” So I told him. He looked like I had cut his throat. He was white as a sheet and he wanted to know, “How did they do it?” and I told him. Since then I have had 3 normal EKGs. The last one was about 2 months ago. Well, I had another treatment about 11 months later and it fixed my kidneys the second time. The first time it fixed my heart. It didn’t do anything else but then the second time it fixed my kidneys. I had horse shoe kidneys and I was operated on when I was 33 years old, 35 years old and now I’m 69. My kidney had grown together and my kidneys have been bad my whole life but now they’re fine. For anyone with reservations about what the Stem cell Institute / stem cells can do, I have an 8 year old daughter that received her first Treatment 6 months ago. Prior to treatment she could speak but her speech was generally limited to asking for basic needs, and being trapped in cartoon dialogue for hours at a time. She would only eat a very limited few foods, she was generally unaware of others, didn’t express feelings or emotions, she was fearful to try doing new things, she had many sensory issues. Within days of receiving her first treatment, she started asking us complex questions and we had real dialogue exchanges. She started venturing outside her comfort zone and trying new things like going on boat, kayak, tubing, etc. (none of which she would do prior). She started branching out and trying new foods, and at this point tries new things to determine how they taste and feel. She has become very social and has made friends at school, even though she has significant social delays and doesn’t always understand how play and interaction should happen, she tries and wants to play with others. The most impressive change is that she is now much more connected to her surroundings and to events happening around her. She is also now capable of expressing feelings and emotions in an appropriate way. Prior to stem cells she could Say I love you, but it was in the same tone and voice inflection that was said to her. Now it’s her voice on her terms. We just came back from a second treatment and are hopeful for more healing. We still have a ways to go, but are so happy with how much progress she has made.